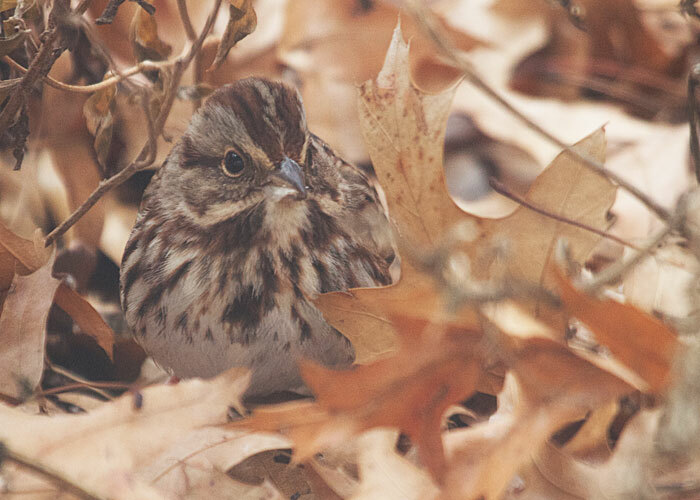 A song sparrow disappears into the forest understory. But keep your eye where the last leaf twitch was, and you'll see the bird emerge. Its streaked breast, with the dark spot at center, is made for blending in. This bird knows how to last in the Iowa winter by being inconspicuous.